This lecture is now finished, you can watch a recording of the lecture here. 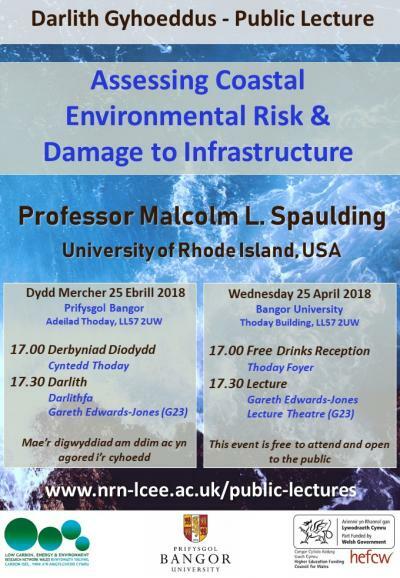 In this lecture, Professor Malcolm Spaulding will provide an overview of global efforts to address one of the key challenges facing coastal planning and management: how to objectively quantify and assess the risks of storm surge faced by coastal infrastructure within the context of sea-level rise and eroding shorelines. Using examples applied to communities directly exposed to open ocean waves, and communities on sheltered shores, Professor Spaulding will explain how new mapping and modelling tools can support coastal communities to understand the risks they are facing, what damage may result under a range of future climate scenarios, and how ocean engineering science can help minimise these risks. Anyone with an interest in coastal engineering or flood risk should find this talk interesting.